Ambrosia is the food of the Gods. Seriously, look it up. 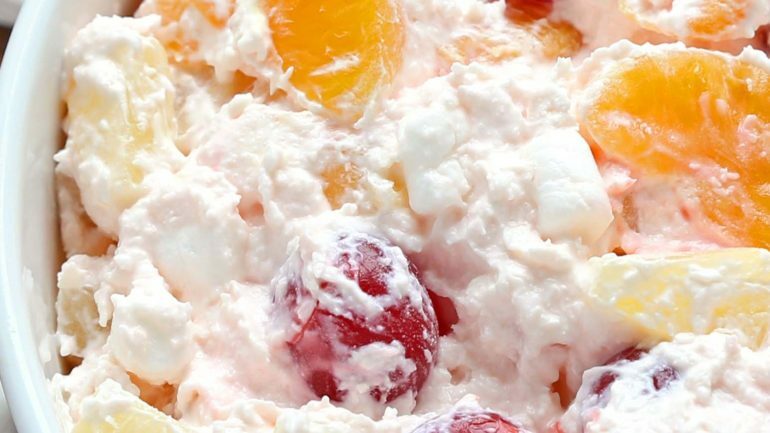 Now, ambrosia “salad” has been around since the late 1800’s and any “true” ambrosia recipe includes orange (of some variety) and coconut. After that, add whatever the hell you want. I was first introduced to this decadent salad by my late grandmother, Astrid. As a kid, of course I looked forward to summer time and being free of school and homework. But more importantly, it meant fresh corn on the cob from the farm across the street and my grandmother’s Ambrosia salad that she would bring to the house when we had a bbq. I literally would have been happy to just eat the corn and the ambrosia. Pretty sure you can’t live off of it, but I would have tried! 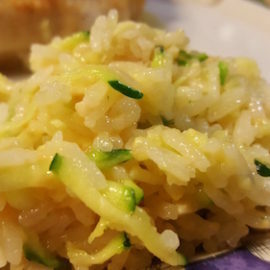 It was one of the most delicious things I ate as a child and brings back all the happy memories I have of summers and my wonderful grandmother. I don’t have her exact recipe (I don’t think the woman used any) but I do remember exactly what ingredients she used. Going off of that and making it taste as close to hers as I can, this is my personal recipe. Great for summer time bbqs! 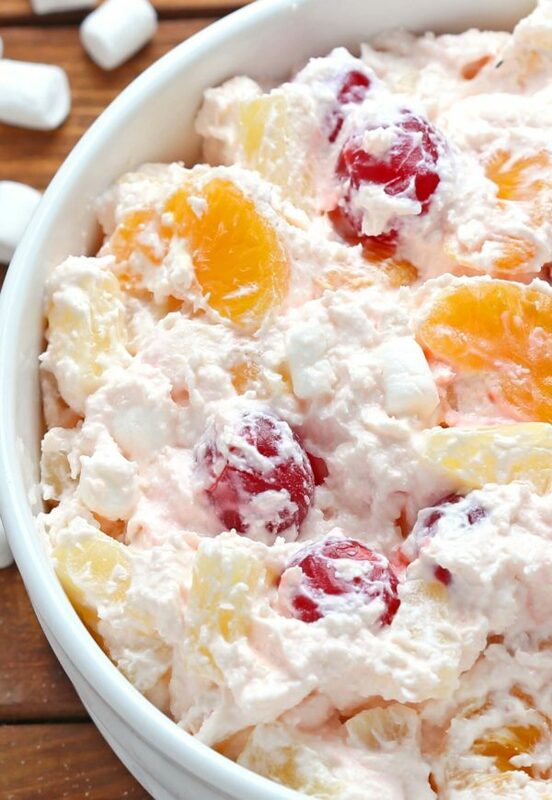 Whip up your fresh whipped cream or take your softened Cool Whip and go directly to step two! 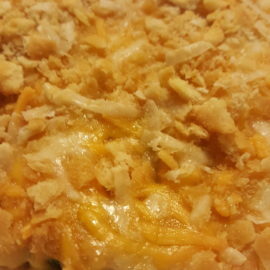 Add in the sour cream and whisk together. Using a spatula, stir in all the fruit, mini marshmallows, and coconut. Cover and refrigerate for at least 3 hours. I prefer to let it sit overnight. Technically, you can eat it right away, but it is better chilled. There really are so many varieties to this. One common substitution is using plain yogurt instead of the sour cream. A lot of people also like to add some kind of nut - best suggestion is almonds or pecans, preferably toasted first.